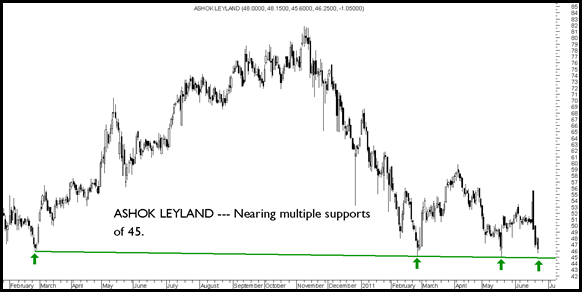 Ashok Leyland – The stock can bounce back from 44.5-45 levels. 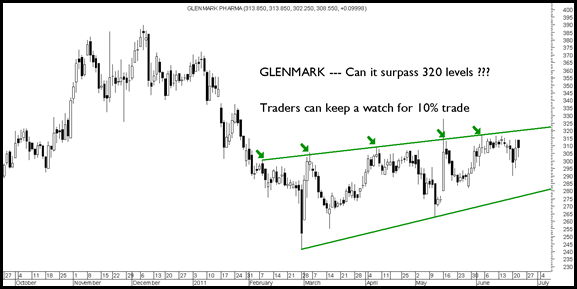 Risky traders can look for pullback trades. 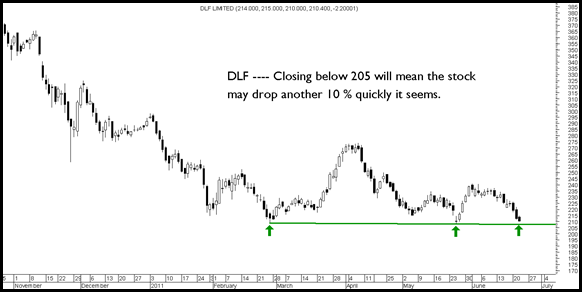 DLF ----Never been interested as too risky and volatile for me. 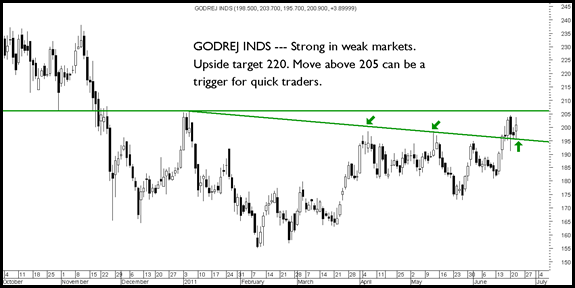 GODREJ INDS ---- The personal favorite for short to long term !!!! Buy on dips for long term. 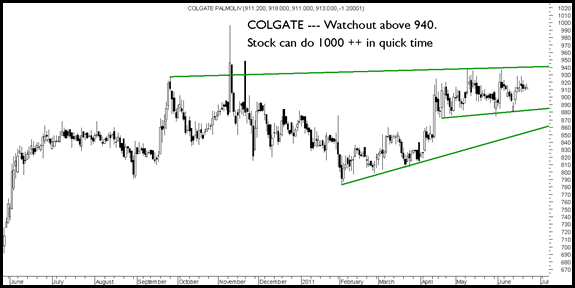 Traders buy above 205 for a quick move to 220. 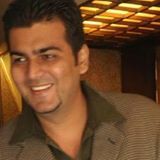 Long term one of the best bets to buy on every dips with a 1-2 year view.